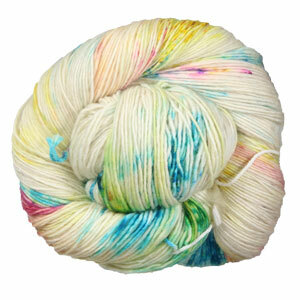 Limited Edition Madelinetosh is back, and better than ever! While we didn't have Limited Edition Tosh in 2018, we're bringin' it back in 2019! Each previous year has been themed, with the dyes being inspired by our most beloved recipes, our astrological signs, and our favorite semi-precious gemstones! 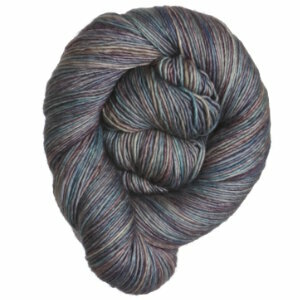 Each month will bring us another colorway to covet, so don't fret if you've missed out on some knockout colorways, there is always something just as delightfully delicious coming right around the corner! Drum roll, please... we're headed to Cologne, Germany, with Calm Before the Storm! 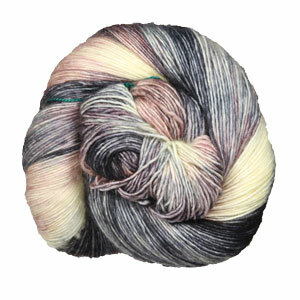 Featuring dark grey, silvery grey, natural, and dusty pink/purple tones, this colorway is simply stunning! Last year, during H&H Cologne, Jimmy had dinner with Amy (from Madelinetosh!). They enjoyed their meal, while talking of and sharing inspiration for future limited edition Tosh colors. As they left the restaurant, the outline of the cathedral right across the street was framed by storm clouds. The colors of the cathedral and stormy sky struck a chord with Jimmy. When she saw Calm Before the Storm for the first time, she immediately thought back to her time with Amy in Germany! And, as they say, the rest is history! 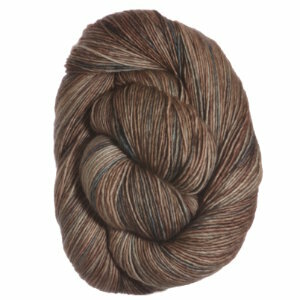 Baudelaire, named after French poet, Charles Baudelaire, is a mix of natural, brown, merlot, green, and blue tones - we're dreaming of French vineyards with this one! And, speaking of dreaming, Jimmy is dreaming of her first visit to France! With plans to head to the City of Lights later this year, we couldn't think of a destination more fitting to inspire our first month of 2019! 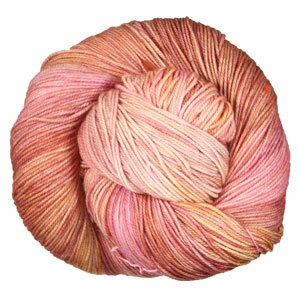 Don't miss out on your own little piece of France - order your skein of Baudelaire today! Where else will we go in 2019? You'll have to stay tuned to find out! We're wrapping up our 2017 Semi-Precious Tosh Series (and maybe a few hanks as presents!) with mauve-colored Taaffeite, a gemstone so rare it's a million times scarcer than diamonds. Nearly 75 years ago, the Austrian gemologist Richard Taaffe purchased a parcel of spinels and upon inspection realized one of them was doubly refractive instead of singly refractive like the rest. Laboratory testing confirmed it as a new species, making it the world's only known mineral to have been discovered as a cut gemstone rather than as a rough crystal. 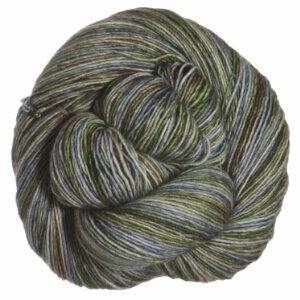 And just like the rare gemstones of the world, our exclusive Taaffeite colorway is only available in limited quantities, so get yours before it's gone! If you've been dreaming of rich autumnal hues, then November's Semi-Precious Titanite is a dream come true! 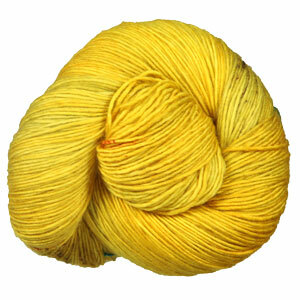 This lovely yellow gemstone is said to boost creativity, calm the mind, and shield its wearers from bad energy. It's made of titanium, which gives an insight to it's name! We can't claim to be experts on that subject, but we do know a knitted accessory will shield you from bad weather! Question: What sounds like a zero calorie fizzy drink, but is actually this month's Semi-Precious Tosh color? Sodalite! Named for its high level of salt, this blue mineral was originally discovered in Greenland in 1806, but has since been found in - you guessed it - India! Sodalite gemstones are said to be connected to the Throat Chakra, which, according to Hindu beliefs, is one of 7 body centers through which energy flows. Like the Throat Chakra, Sodalite is associated with truth, logic and inner peace. In meditation, you can use this mineral to focus energy on the Throat Chakra to soothe emotional imbalance and promote more logical thinking. 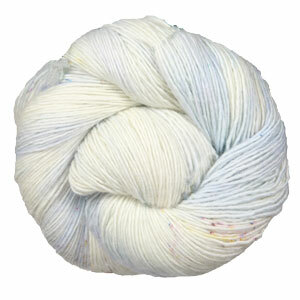 Click here to view all of our available bases, and here to view the projects that we've made with this yarn! 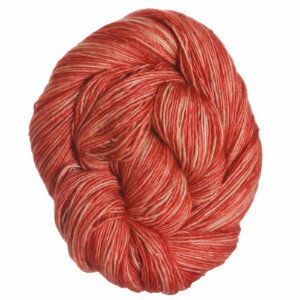 We're bringin' the heat with this month's Semi-Precious Tosh color - fiery and fun-loving Jasper! Warm and energizing, Jasper (also known as "The Nurturing Stone") radiates with positive vibrations to help promote prosperity, motivation, and strength. Electrify your soul (and your needles!) 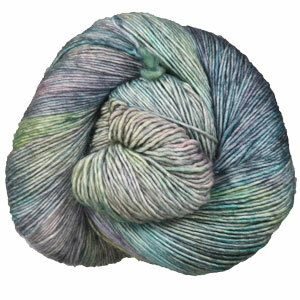 with a skein or two of Jimmy's Jasper in your favorite Tosh base! 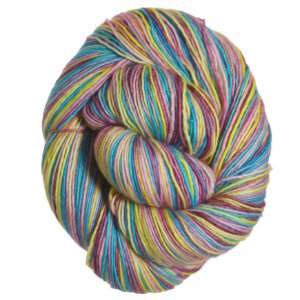 Click here to view all of our available bases in Jimmy's Jasper, and here to view the projects that we've made with this yarn! Number eight in our Semi-Precious Tosh collection is an absolute powerhouse, widely recognized for its mystical properties. Bloodstone - also known as Heliotrope, meaning "sun turning" in Greek - is widely referenced for its ability to impact the weather, stimulate rain and lightning, and even cause a solar eclipse when placed in water. 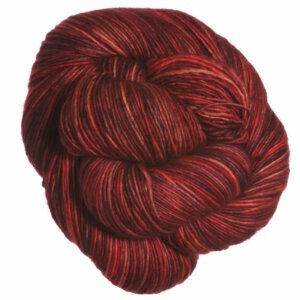 With the Great American Total Eclipse occurring August 21st, pay tribute to this magnificent event with a skein or two of Bloodstone. Our next chance to revel in an event like this is seven years away! 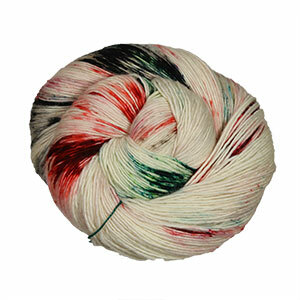 Be sure to check out all of our available bases in Bloodstone, and don't miss all of the projects we've made with this awesome yarn! The Singer's Stone, The Setting Sun... whatever you choose to call Carnelian, there's no denying this vibrant orange gemstone will capture your attention and keep it! Known for imparting courage, providing protection, enhancing creativity, and emboldening performers, Carnelian is not only beautiful to behold but also teeming with positive energy. 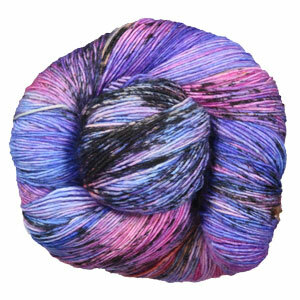 And, as the seventh color in our Semi-Precious Tosh Series, it makes yarn look good! 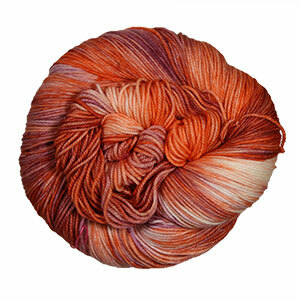 Click here to view all of our available bases in Carnelian, and here to view projects we've made with this yarn! 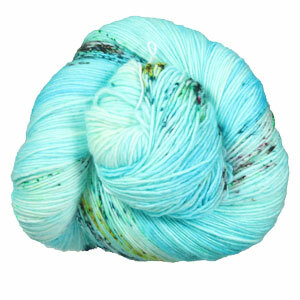 Feast your eyes upon the 6th installment of our Semi-Precious Tosh series - the blue and green beauty Chrysoprase! Known for its aid in sleeping, healing, and emotional balance, Chrysoprase brings a positive boost of energy to your daily lives. Deep aquatic teals combined with mint and seafoam green create a color of tranquility, one which will surely have you dreaming of relaxing ocean waves this summer. 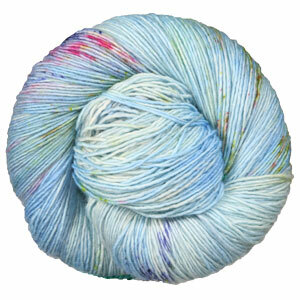 Why not make that dream a reality by grabbing a hank or two and knitting beachside this summer? 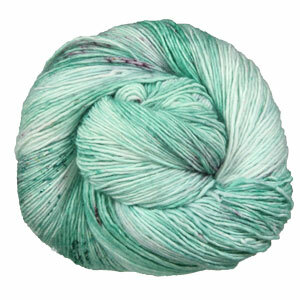 Click here to view all of our available bases in Chrysoprase, and here to view projects we've made with this yarn! 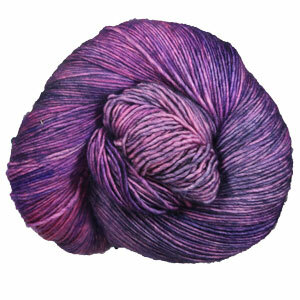 We're proud to introduce color number five in our Semi-Precious Tosh collection - Amethyst! In the spirit of spring cleaning, we felt Amethyst was the perfect match for this month's gemstone since its known for having cleansing and healing properties. 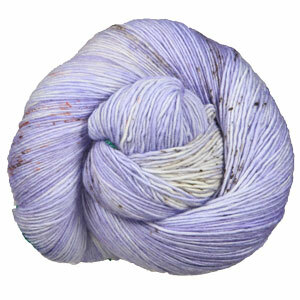 This playful, pastel purple incorporates wonderful tonal variation that is remarkably easy on the eyes. 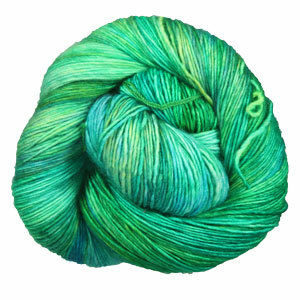 We've been obsessing over this color since its arrival to our shop, and many of the Beans here could hardly wait to cast on a skein or two of their own! 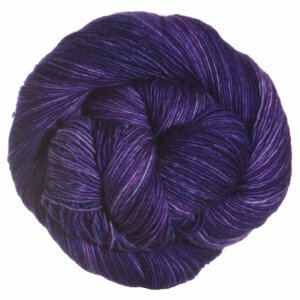 Click here to view all of our available bases in Amethyst, and here to view projects we've made with this yarn! 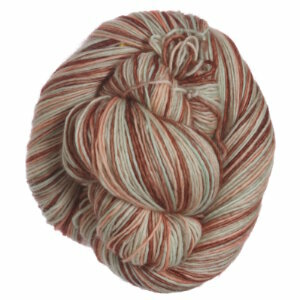 We are thrilled to present the fourth color of our Semi-Precious Tosh Series, inspired by the unique gemstone Rhodonite! Its name is derived from the Ancient Greek rhodon, meaning "rose," and we thought the timing of this color was absolutely perfect as we welcome springtime and all the gorgeous roses beginning their blooming cycle. 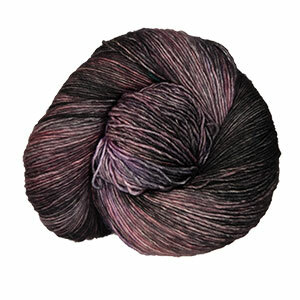 This sassy, speckle-dyed combination of vibrant pink and black contrasts nicely against a natural background, creating an undeniably beautiful splash of color to brighten up your knitting needles and wardrobe! 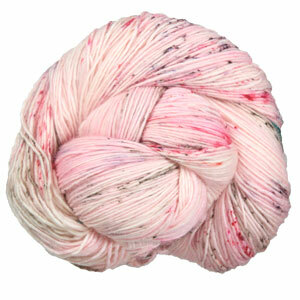 Click Rhodonite to view all of our available bases in Rhodonite, and here to view projects we've made with this yarn! 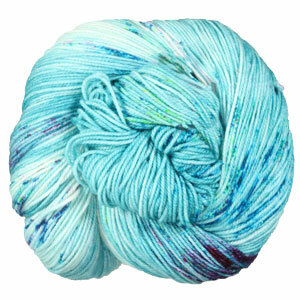 Next up in our Semi-Precious Tosh series is Chrysocolla! From the Ancient Greek chrysos kolla or "gold glue," this cyan-colored minor ore of copper was first used to solder gold in 315 BCE by Theophrastus, a successor to Aristotle, whose On Stones treatise would become a source for other texts on gemology well up until the Renaissance! The dazzling hues of this blue-green mineral proved to be the perfect inspiration for spring as we move into brighter, warmer weather, and Tosh came through wonderfully! 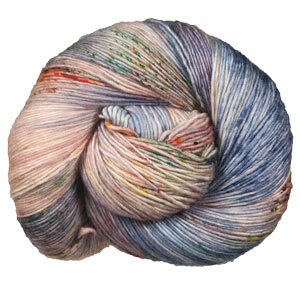 We even experienced our own little yarn Renaissance here at the shop when we first laid eyes on it - many of us were so inspired we couldn't wait to cast on! 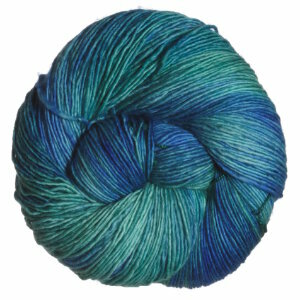 Click here to view all of our available bases in Chrysocolla, and here to view projects we've made with this yarn! 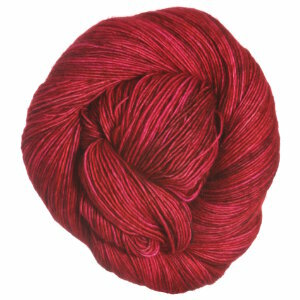 It's time for the February installment of our Semi-Precious Tosh Series, and what better time than the Month of Love to reveal this sultry and seductive red? 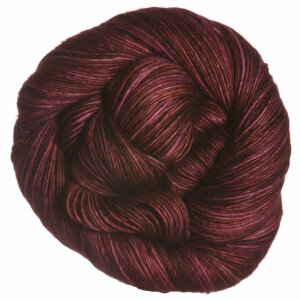 Garnet is a marvelous mélange of pink, purple, and red tones from moody mauve to bold burgundy, and we think it has us under a love spell: we're finding it impossible to tear our eyes (and needles!) away from it! And no wonder: named for the pomegranate, an ancient symbol of love, Garnet has long been associated with matters of the heart! 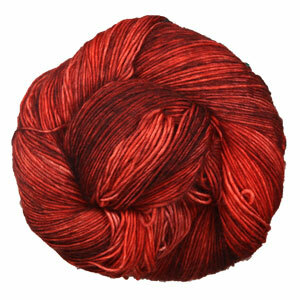 So, what are you knitting for your Valentine this month? We're thinking about a heart (and foot! 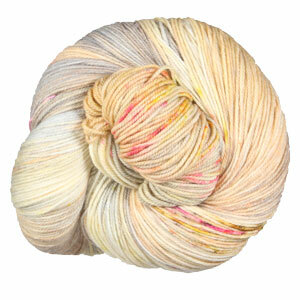 )-warming pair of Changeful Socks in one of the new Tosh bases we carry, BFL Sock! 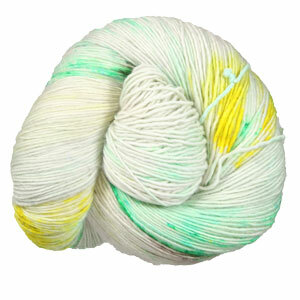 Or, snag a skein of Tosh Sport and whip up a pretty pair of Portlander Mitts! Only you know the way to that special someone's heart, but be sure to share pics of what you make on our Facebook and Instagram! We're kicking off the year with one of the most alluring stones we've ever seen: Labradorite! This special type of feldspar has so many layers of iridescent color, it's hard to capture them all, but Tosh has done it! Subtle blues, greens, and grays speckle a light background, imitating the play of light on a reflective Labradorite stone. 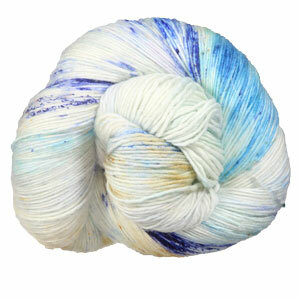 We have it in all of your favorite Tosh bases - including new BFL Sock and Pure Silk Lace! And, the story goes that Labradorite has powers of metamorphosis and self-transformation, perfect for this time of New Year's reflections and resolutions! Now, what will you make while you reflect? 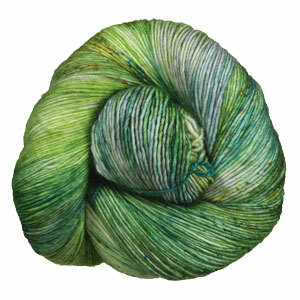 How about a gorgeous pair of Torrent Socks or a Lettuce Leaf Scarf using just one skein of Tosh Sock? Just be sure to pick up a set of Limited Edition Spark Stitch Markers; they were specially crafted to coordinate with the yarn! Once you have an objective in your sights, Capricorn, you won't stop until you reach it! We have no fear about your sticking to your New Year's Resolutions, but maybe a companion or crafting buddy doesn't have your persistence and drive. Why not form a Resolution Coalition with a few friends or fellow crafters and help keep each other accountable in reaching your respective goals? They'll appreciate the help, and you'll love leading them in the charge! It's time for the final installment in our Limited Edition Toshstrology 2016 Series: Capricorn! 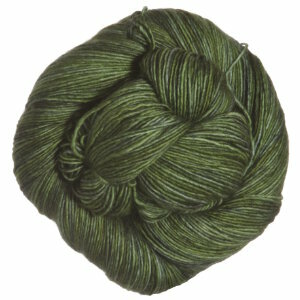 You goal-oriented Goats will be glad to see the collection complete, and what an ending it is: a magnificent mélange of forest, emerald, and gray-greens, both wintery and bright at the same time! 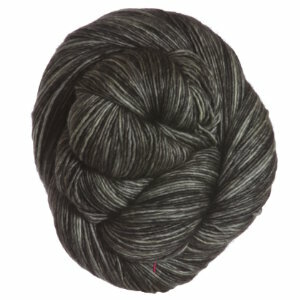 Youll love it in any of the gorgeous Tosh bases we carry! 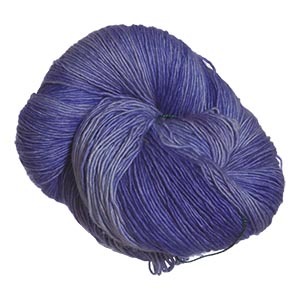 This lovely hue lends itself to projects of all kinds, from lace to garter stitch - you name it, this color will make it look great! With your energetic and generous nature and your love of travel, you're just the person to organize a crafting trip! Trade shows and yarn festivals are coming up throughout the fall and winter, so get together a group of crafty friends and hit the road for lasting memories and loads of fun! And if you're near Reno, be sure to visit us here at Jimmy Beans! It's time for the latest installment in our Toshstrology 2016 Series: Sagittarius! 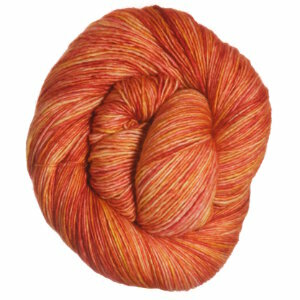 In true Sagittarius form, we traveled the world looking for color inspiration for this fiery sign, and Tosh has done it proud: a sultry, delicious red like a juicy fall apple! It's sure to further energize even the most enthusiastic Sagittarius, and the rest of us as well - after all, what better way to stand out in the snow (or on your next trip, you travel-loving centaurs!) than with a pop of bold red?! A natural born leader, the Scorpio is determined, resourceful, and always up for a challenge! With the holiday season coming up, Scorpio, you are the perfect person to organize a charity crafting event or fundraiser for your community. How about starting a preemie hat drive for your local NICU, or a collection event for those in need of warm winter clothes? With your dedication and passion, it's sure to be a success! It's the season of Scorpio, and this month's installment in our Toshstrology series pays beautiful homage to this bold water sign with a lovely mermaid green! 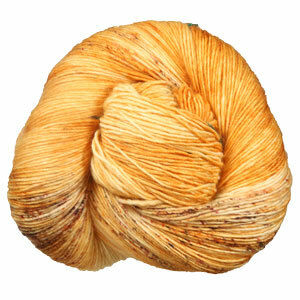 It's refreshing and cool, the perfect balm for that passionate Scorpio spirit! 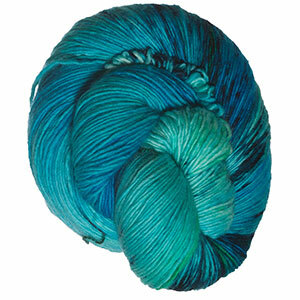 It doesn't take much to be inspired by this pretty, deep teal, and we have quite a cache of designs to go with it! Libra, with your social and cooperative nature, you're perfectly suited for a joint or group project. Why not start a special blanket with a friend that you each work on or complete parts of? When you sew your squares or sections together at the end, you can vow to share custody of it - or, give it as a heartfelt, handmade gift! It's time to balance the scales in favor of the Air signs: Libra is an awe-inspiring mix of orchid, plum, and Tyrian purple that even the ancient Romans would approve of - and that's fitting, as Rome was founded under the Libra sign! You're typically shy, so now's the time to get out of your comfort zone. It's Fall Festival season, so how about entering one of your knitted or crocheted creations in the county fair? With your skill and attention to detail, you're sure to win the blue ribbon! 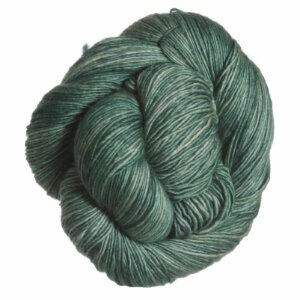 It's the hottest month of the summer, so how about cooling off with a lovely shade of green with hints of gray? Virgo is a peacefully perfect verdigris hue to coordinate with this Earth sign, as cool and creamy as the porcelain skin of a goddess! It's ideal for you calm-seeking Virgos, especially in the back-to-school season, when your analytical and hard-working nature kicks into high gear! You're confident, dominant, and creative - all perfect traits for starting and leading a new crafting group! Put the word out in your community and gather your followers for fiber-related fun; start a weekly knit or crochet night, head up a yarn-shop hop, or plan a fun crafting retreat with some friends. As a natural-born leader, you're just the person to show others the way to wonderful new projects and skills! Summer's in full swing and we're in the mood for colors that are bright, boisterous, and loud: Leo is a bold, rusty orange color that just screams "leader of the pack", and we're sure you'll agree it's just as juicy as a cold popsicle on a hot day! While you may be known as sensitive and moody, you're actually in tune with your emotions and the feelings of others, especially loved ones. You're intuitive and loyal, too, and find it easy to tell how others are feeling even if they don't outwardly show it. Turn that intuition to your loved ones: is someone close to you having a hard time? Would a simple handmade item make them feel better? 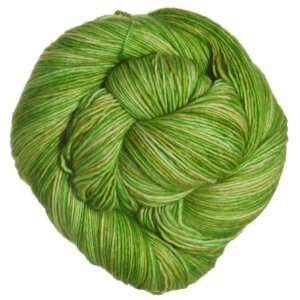 Think about knitting or crocheting a gift for a friend or family member who may need a little of that Cancerian care! Just in time to cool off those hot summer temperatures: chill down with Cancer! 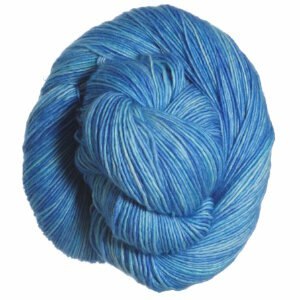 Inspired by the deep, watery blue of the sea where The Crab makes its home, this peaceful and calming colorway is a balm to the eyes and soul! 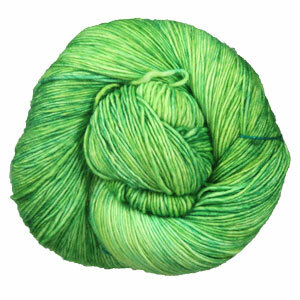 Your versatility and energetic nature mean you're likely to take on diverse and sundry projects - just be careful not to get too many things on the needles, as you're easily bored (and a bit indecisive at times) and we don't want that beautiful yarn to languish untouched! How about this: since you're a social animal and always up for a bit of fun, why not take on a project with a friend or group that you can all make together? Knit- or crochet-along, anyone? Welcome, Gemini! 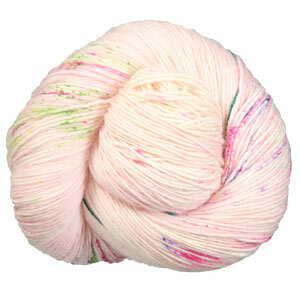 Those born under this Air sign are blessed with artistic and creative qualities and are often social butterflies, so the Tosh dyers created a lovely, vibrant pinkish-purple to represent The Twins! Your signature traits of perseverance and determination will help you make a plan to tackle those UFOs hanging around - come on, you can do it! Some might call you stubborn, but that's a characteristic you can use to your advantage: when learning a new crafting skill or technique, you don't give up until you get it right! 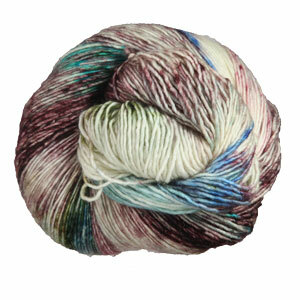 Perhaps now is the time to tackle that lace shawl you've been eyeing or try your hand at intricate colorwork! March came in like a lion, and April's going out like a... bull! 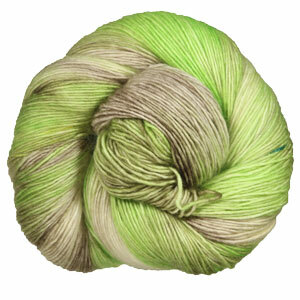 The Taurus installment of our Toshstrology 2016 Collection has come charging into the shop, and it's every bit as bright and boisterous as its namesake: a light and limey tonal green that will have you thinking spring! Aries, you're naturally energetic (and brave), and warmer weather is on the way, so why not try a more "active" form of crafting? Knitting or crocheting while walking, or while riding a stationary bike, might be right up your alley! Get a friend to join and make a little challenge out of it (you're naturally competitive, after all!). 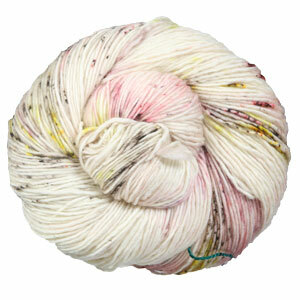 It might be just the thing you need to bust out of dormant winter into active spring! We're on fire this month: introducing the first Fire sign of the Toshstrology 2016 Series, Aries! 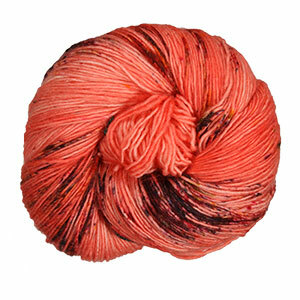 This gorgeous blend of comely corals and sunset oranges is sizzling hot and ever so eye-catching! It's perfect for energetic, extroverted Arians - and everybody else, too! You're sensitive and know how to listen to your intuition, so if it's telling you to try something new, go for it! 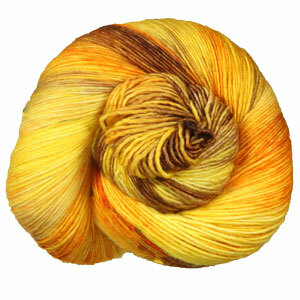 How about weaving or spinning? Your love for the fiber arts may lead you to make new acquaintances and crafting friends - why not look in your area for a crafting group to join? You may find your new passion and a new buddy, to boot! This month's astrological sign is Pisces, and we're diving right in to celebrate this Water sign! 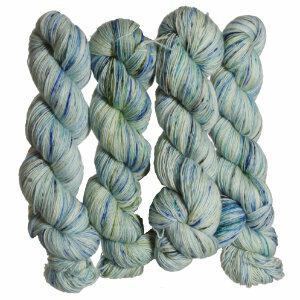 Madelinetosh dreamed up a heavenly tonal blue color to represent the watery origins of The Fish, and also as a nod to Pisces's association with mystics and dreamers. No matter how you feel about that old holiday staple, fruitcake, you're sure to fire up your sweet tooth for some Dried Fruit! This juicy color packs all the flavor of the fruits of summer for a bit of brightness in the bleak of winter, and we thought it made the perfect after-meal treat to round out our Tasty Tosh 2015 Series! The ripe reds, luscious purples, and vivid golds and oranges are just the recipe you need for busting any winter blues, and what better way to do it than with delicious wool? Ask any chef what staples they always keep in their kitchen, and chances are garlic and onions are two of them. These two potent ingredients add a distinct flavor to just about any dish, which is why we chose them to inspire our November Tasty Tosh color! 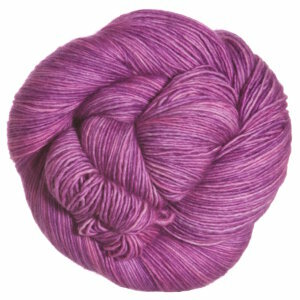 Deep purples from red onions with undertones of golden tan and white, this tonal color is truly stunning to knit or crochet. October is here and so is one of our favorite fall holidays: Dia de los Muertos! While this annual celebration to honor deceased loved ones coincides with Halloween and All Saints Day, it's steeped in its own special traditions, including the making of colorful and festive Sugar Skulls - so, we thought we'd make some of our own! The color is a vibrant mix of teal, yellow, pink, and rusty purple to represent the lively hues used to decorate the hand-crafted skulls given as special gifts and remembrances during Day of the Dead celebrations. 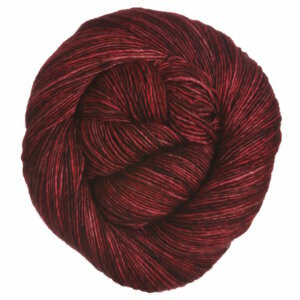 Because of our own Huckleberry (you know, the adorable blonde, curly-haired one), we thought a color inspired by his namesake berry would be fun for September's Tasty Tosh installment. 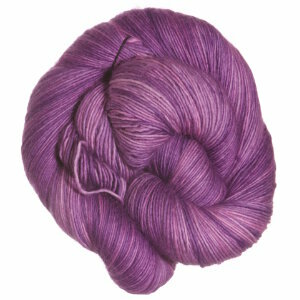 Fresh Picked Huckleberries is a gorgeous purply pink tonal color and is the perfect way to finish off the warm months! It's time for making jams, baking pies, and maybe even a buckle or two, just like the Hucklberry Buckle (isn't that fun to say?!?!?) recipe we've included with this month's Tasty Tosh Color! A staple of New Mexico cuisine, the Hatch Chile is also a favorite in our kitchens - the subtle heat of the fresh green variety adds the perfect kick to stews, Southwestern dishes, and especially some delicious Green Chile Cornbread! 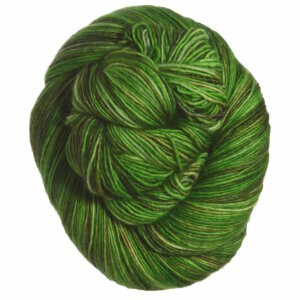 Roasting brings out the flavor even more, and Madelinetosh has captured the colors of tasty roasted peppers perfectly in this month's color: shades of mouthwatering green blend beautifully with toasty browns to evoke the singular look, smell, and taste of peppers gently charred over an open flame. We can hardly wait to get our hot little hands on some! We've gone out to the garden for this month's Tasty Tosh 2015 installment - inspired by a photo from one of our local Reno egg farms, Reynolds Ranch, we wanted to create a color that showed off just how gorgeous free range eggs really are! 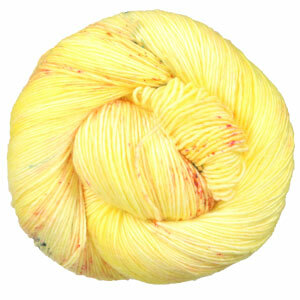 We think this color is perfect - plus, eggs make up the base of some of our favorite dishes! Whether it's a fast frittata, easy egg salad, or a quick quiche, we're on board! Combine that with the image of smooth, glossy, cool eggshells in soft shades of cream, minty blue, peach and rusty brown, and you've got one appetizing colorway! 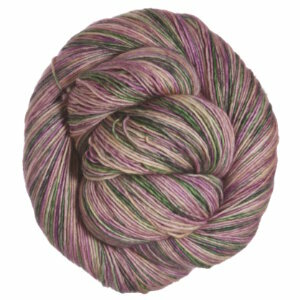 Each month for all of 2015, we'll release a new color in a selection the most popular Madelinetosh yarns and include the delicious recipe that goes with it. Summer's officially here and that means we're combining the best of the season: outdoor cooking and delicious summer produce! This month's Tasty Tosh 2015 installment celebrates both, and resulted in a tantalizing color to boot - just one look at Mexican Grilled Street Corn and your mouth will be watering! 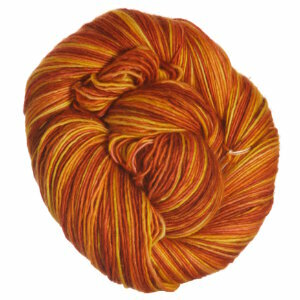 The enticing yellows, tempting oranges, and spicy reds of this gorgeous color will have you ready to get out in the sun and grilling up something delicious! Nothing puts the taste of spring in our mouths like strawberries - there's just something about seeing the first real, dirt-grown, rich and ruby-red berries in the market that means warm weather is here to stay! Combined with rhubarb, another harbinger of spring, they make a perfect dessert for those who like a little tart in their treats (and in their yarn!). Why is brunch always associated with Mother's Day? Is it because our moms always cooked us breakfast, and now we want to do the same to honor them? We think so - and we think we have the perfect dish to serve at your special Mother's Day Brunch: Asparagus Camembert Bread Pudding! It was a perfect inspiration for this month's Tasty Tosh installment: the appealing greens, toasty golden browns, and creamy whites will make your mouth water! The March installment in our Tasty Tosh 2015 series will have everybody in the mood to celebrate (and eat): introducing Roasted Brussels Sprouts and Corned Beef (hey, they're mini cabbages, after all...)! The deliciousness continues with the February installment in our Tasty Tosh 2015 series: Sausage, Chard, and Lemon Lasagna! This light and delicate version of the traditional Italian recipe includes lots of bright and lemony flavor, and the color reflects it: buttery yellows and creamy whites blend together for a sensational taste explosion! 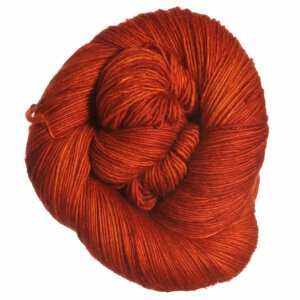 The hand-dyers at Madelinetosh have captured the deep, rich reds and browns of the dish perfectly with Rojo Texas Chili - it's absolutely mouthwatering! 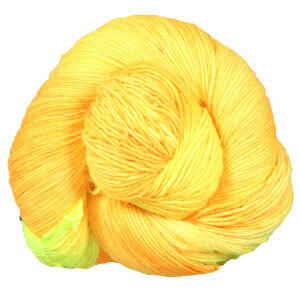 Just make sure you have a cool drink on hand when you start knitting up this spicy color! 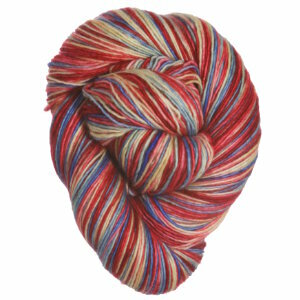 It would look amazing in the Poet Society Tam; no matter your hair color, this trendy topper using Tosh Vintage in this hot new hue is sure to shoot fireworks! Just in time for those fancy holiday parties, we've got our newest limited edition color in the Tailor-made Tosh series: Black Tie Affair! While everybody else is buttoned down in tuxes, you can show them that black and white doesn't have to be boring with this gorgeous mix of sultry greys and blacks. 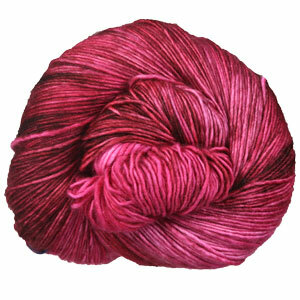 Even a simple shawlette to wear over that sleeveless evening gown would look fancy in this sophisticated yarn! Earlier this year, we asked you to vote for your favorite of two Tahoe-inspired exclusive colors in our Tailor-made Tosh series from Madelinetosh: Blue Jean Baby and Penny Loafers. While Blue Jean Baby, a mix of pale blues reminiscent of that favorite pair of worn-in jeans in all of our closets, was the clear winner, Penny Loafers still got almost 35% of the vote! We took that to mean you liked it, so we've decided to release this rich blend of russet tones as our fifth installment in the Tailor-made Tosh series. After all, nothing conjures memories of back-to-school and Fall like a brand-new pair of loafers! 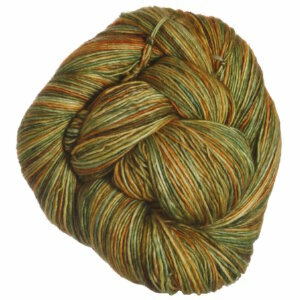 You can enjoy memories of those favorite shoes as you work up your favorite weight of Madelinetosh yarn in this amazing, comforting color. July is the perfect month to celebrate all things American with the 4th exclusive color in our Tailor-made Tosh series, Americana Style! You may be wondering, just what is Americana style? Well, we think it's the kind of style that makes Americans unique from one part of the country to the other. For some, it might be a plain white tee-shirt, Wranglers, and your favorite dusty pair of cowboy boots, for others it might be cut-offs, a tank top, and flip-flops. Whatever your Americana style, one thing is for sure, there is nothing more quintessentially American than wearing a bit of red, white, and blue! 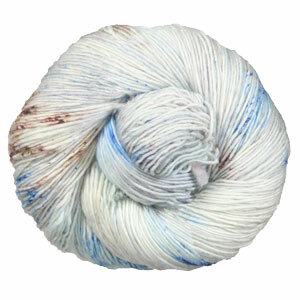 This colorway features a muted (think vintage US flag) palette of this trio of colors in all of your favorite Tosh yarns! 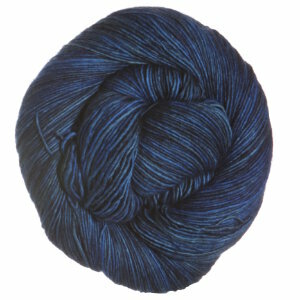 Available now by popular vote, we have the 3rd Exclusive Tailor-made Tosh colorway from Madelinetosh - Blue Jean Baby! We posted a photo of two lovely Tahoe-inspired colors on Facebook and Instagram, asking all of you to weigh in on which one you liked best. 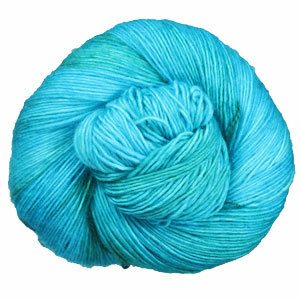 Of the 530+ votes we received, 346 voted for this lovely shade of blue! It reminds us of that favorite pair of ripped and faded blue jeans, and we couldn't help quoting Elton John in this homage to America's favorite wardrobe staple, "Blue Jean Baby!" So... what do you get when you cross one brave lady, a talented hair dresser, a super talented yarn dyer, a rainbow, and... a unicorn? Answer: Technicolor Dreamcoat!! This color was inspired by an instagram photo of a very uniquely dyed head of hair that Amy (the owner of Tosh) posted a couple of months ago. 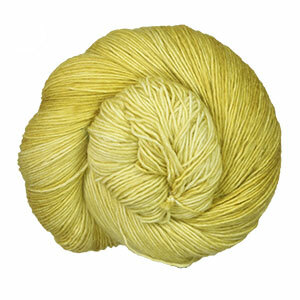 I couldn't help but ask if she could turn that photo into our next Tailor Made Tosh custom color. Boy, did she deliver! 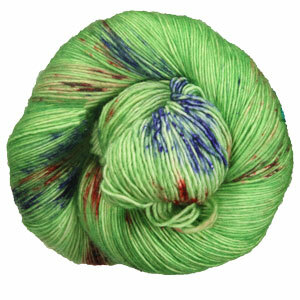 Complete with bright, crazy colors from all across the map, this color is "Rainbowtastic" (as Monika would say) in every way. 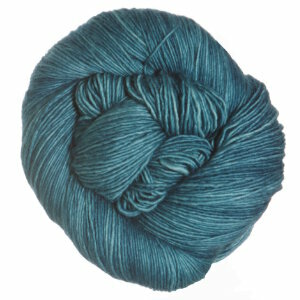 Not only that, but this color is so unique that there are many different-looking dye batches within each Madelinetosh weight. 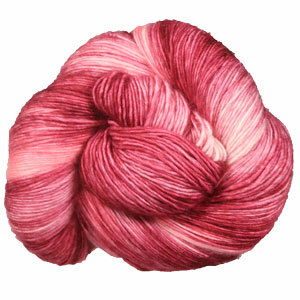 Each batch has varied tonal leanings, so your skeins will be truly unique and one-of-a-kind! 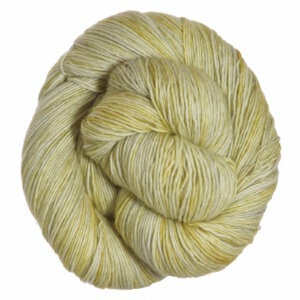 Never again to be seen on our shelves (or anyone else's), this color is available in many of your favorite Tosh bases. Have fun! 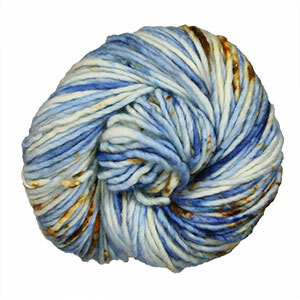 For January 2014, Tosh created this gorgeous colorway that we've lovingly named "Thrift Shop Dress Shirt." The pale tones of beiges and grey paired with blue and deep green reminded us of the vintage dress shirts often seen worn by hipsters or those bold enough to wear these colors all at once. We also love us some Macklemore (the rapper behind chart-topper, "Thrift Shop"), so it just seemed to fit! 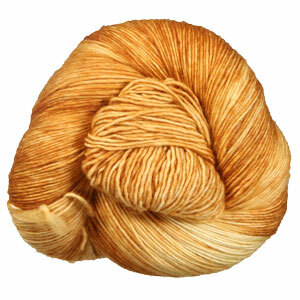 Jimmy really liked the contrast of the paler tones mixed with slightly darker ones that make this color truly unique, and perfect for your next project or to add to your stash. The best part is, it's Limited Edition Tosh! What more could you ask for?